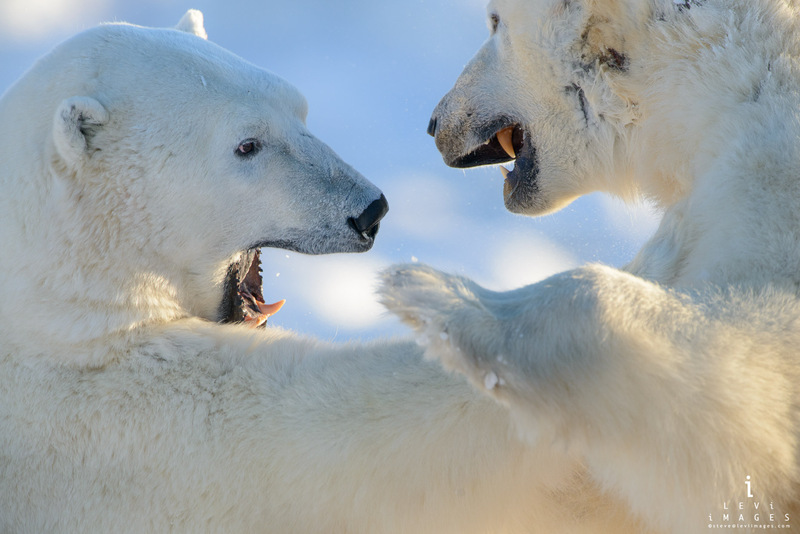 After taking the requisite images of polar bears sparring with a medium telephoto lens, I decided to try something a little different. I placed a 1.4x teleconverter on my 600mm lens and attached it to my 36mp camera. The light was beautiful and the action swift. It was a challenge to keep both the bears in the frame and at least one in focus.